Bethesda for 99% of this. Changed what level the western revolver shows up at to reflect that it's a little better than the .44. I was originally using the Bethesda level which was 1 because they are supremely stupid. Added basic support for Nuka-World. 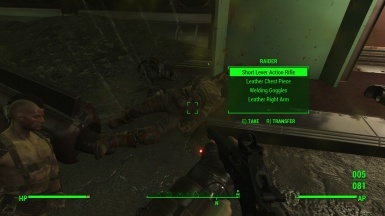 -Added Lever Action Rifles to Minutemen. -Added weapons and ammo to vendor lists. -Added weapons and ammo to loot lists. This mod requires Automatron, Far Harbor, Nuka-World and requires a merged patch to be compatible with other mods that edit leveled lists. 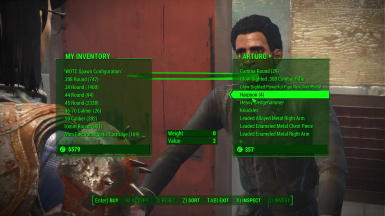 Due to a quirk of the game engine, a tiny virtual Todd Howard appears and methodically removes every instance of weapons and ammunition from the DLC intended to appear in the Commonwealth. It is unknown at this time what purpose this serves. 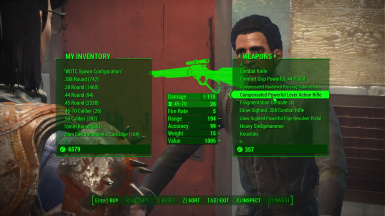 This mod restores the new weapons and ammunition types to Commonwealth leveled lists. You'd think they'd have figured this out by the sixth lackluster DLC for Fallout 4!